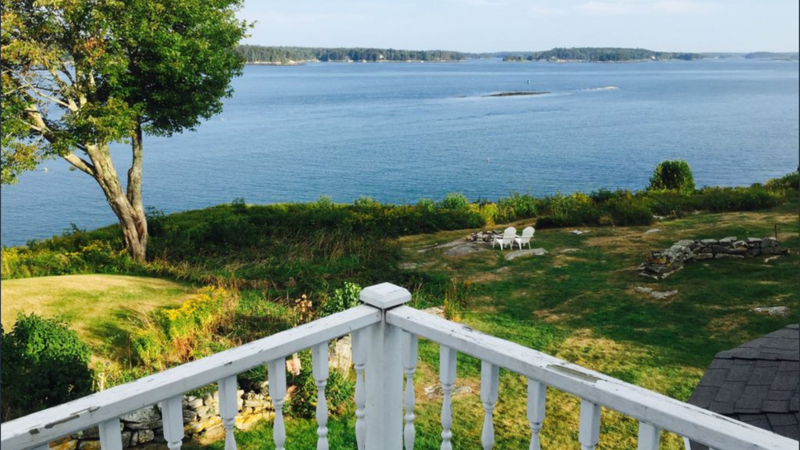 The cottage faces Sheepscot Bay in the east for you to enjoy the spectacular sunrise each morning. Adirondack chairs facing the ocean. View of the estate from the water. Dance Floor and Ceremony Setup. View of the bridge connecting the mainland and Westport Island. 3.5 acres of lawn with the estate. Path going down to the dock and mooring. One of the driveways to drive up to the estate. Dance floor in the back yard of estate. Floating dock off of property. View from the wrap around porch on main estate. Side view of ceremony facing the water. Perfect area for paddleboarding, kayaking, and boating. Fall foliage from the road of the estate. View of the estate with fall foliage. View of the water from the living room inside the main cottage. Wrap around porch perfect for cocktail hour. 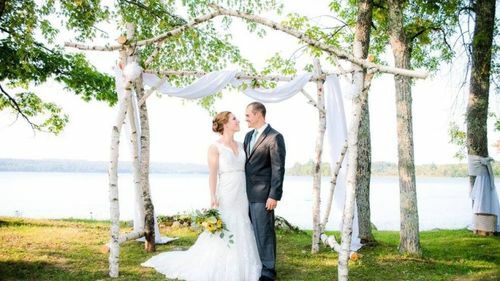 Westport Island Estate is perfect for the small intimate wedding on the water that you've been dreaming of. 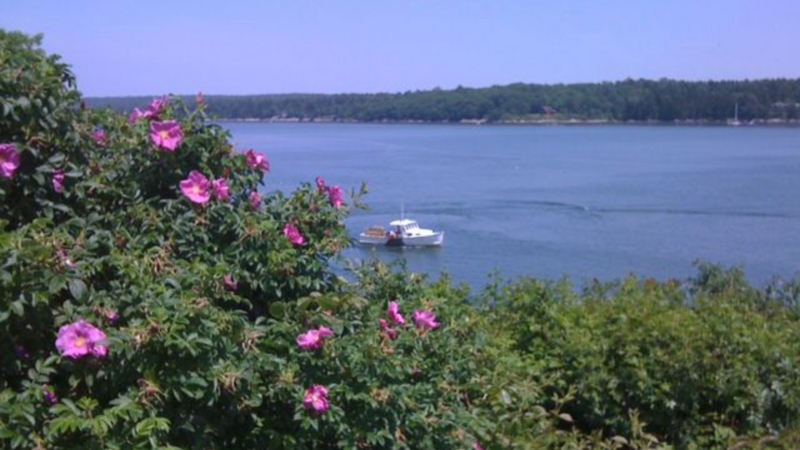 Located an hour away from Portland, Westport Island is a small, 2 x 12 mile island connected to the mainland by a bridge nearby. This beautiful, waterfront venue has spectacular views of the water from every window! 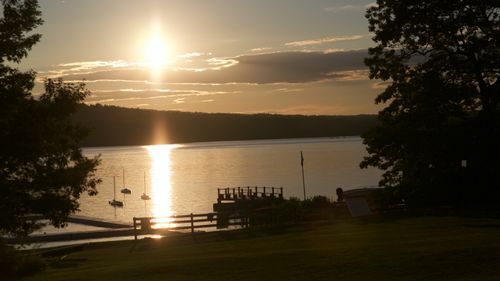 Westport Island Estate has 3.5 acres for your ceremony and reception to have beautiful waterfront views overlooking the 800 feet of deepwater frontage and a private dock and mooring. Overnight accommodations for up to 12 guests in the main cottage as well as the attached unit are included in the venue price. 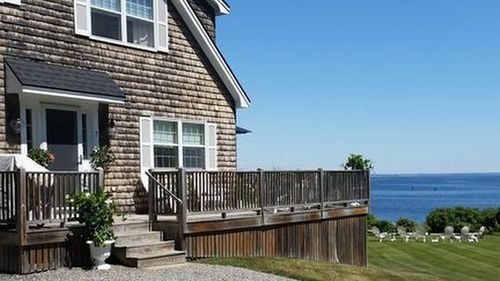 Guests are able to enjoy the wrap around porch or enclosed sun porch overlooking the bay. 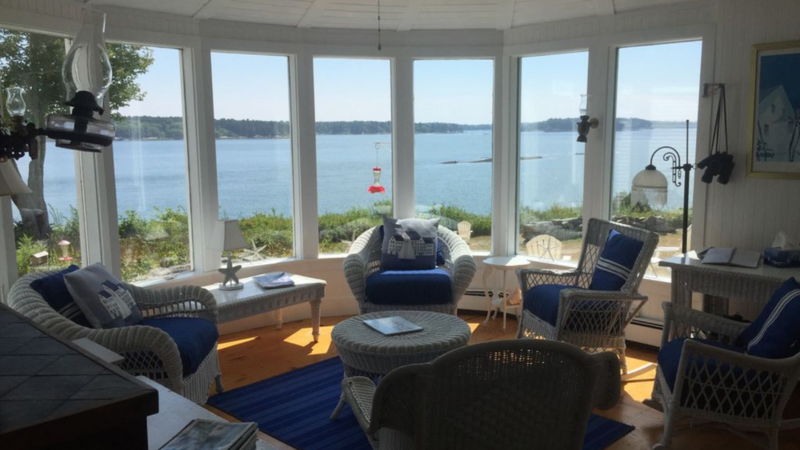 Westport Island Estate is the perfect venue to enjoy time with loved ones overlooking the active Sheepscot Bay! Any guests are able to bring their own kayaks, paddle boards, etc. to enjoy the water. Only 2 Weddings Remaining for 2019 — then calendar will close.? Changing Rooms - 5 bedrooms available for changing inside the estate. Dumpster - Dumpster on Site - couples must bag their trash but can then throw the trash in the dumpster. Electric Power - Residential grade power. 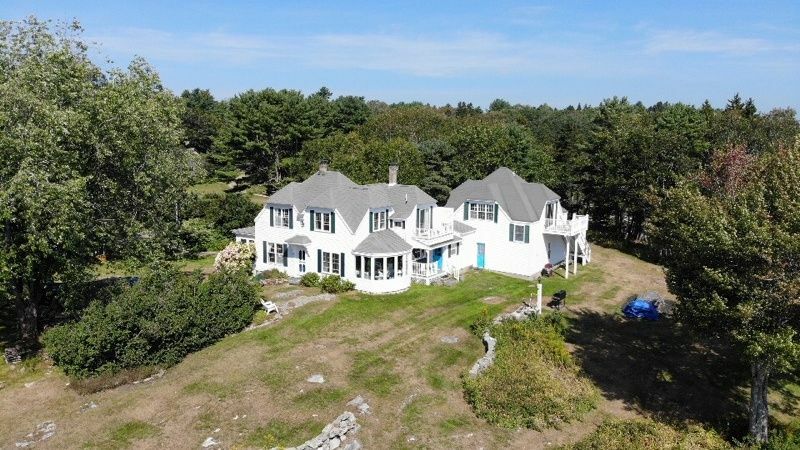 There are 4 bedrooms in the main cottage; attached unit has a queen, double, and twin bed, sleeping 12 guests total throughout the entire estate. Open Flame Policy: Bonfire allowed in Fire Pit. Fireworks: Fireworks permitted, do not shoot into the water. Trash and Recycling: Dumpster on Site - couples must bag their trash but can then throw the trash in the dumpster. Parking: Able to accommodate up to 16 cars.